How can I apply for The Football Business Academy Professional Master Degree? You need to gather all necessary documents (Copy of ID/Passport, Bachelor Certificate, Letter of motivation, CV, English certificate,…), then go to the-fba.com/apply/ and follow the steps. Based on which criteria will applicants be selected? You also need to have a strong motivation and be interested in the business of football. How long does it take to complete the educational program at The FBA? The length of our Professional Master Degree is 12 months. You can either start in September or March. At the end of the 12 months, you will get The Football Business Academy Degree which is worth 60 ECTS credits. How much does it cost to become a Candidate of The Football Business Academy? How long is the application process and how long does it take to receive a confirmation? Once we have received all the necessary documents, the application process usually takes between 10-15 working days. During the application process, you will be asked to take two interviews via Skype before receiving the final decision from the Admissions Committee. Does this program provide ECTS credits? How many hours of work does it represent in total? Is the program mainly targeted towards people who already work in the industry or can someone from a different industry join? We welcome all individuals who have a bachelor degree, a strong motivation and the required level of English. Having previous work experience (in any industry) is a plus, but not a requirement. Are all modules mandatory or is it possible to follow certain courses separately? In order to maintain a quality standard for all FBA graduates, all modules are mandatory. The only exception applies to Candidates who already work in the football industry and prefer to continue working at their place of employment instead of doing an internship during Module 3. I see the program has an Introduction Week in. Is it mandatory to participate? Although it is not mandatory to participate in the Intro Week, we highly recommend it. You will have the chance to participate in a Soccerex event, which is the football industry’s leading B2B event organizer which brings together experts and decision makers. By participating in the Intro Week, you will meet all your colleagues and professors, and you will have the chance to create an important portfolio of contacts, which is the key to success in your future career in the football industry. We cannot recommend your participation highly enough! In which format will the online classes be given? How often will the study materials be released? The classes will be given online only during Module 1 and 2. A live group discussion session with each professor. Each course has a total of 10 sessions and a certain number of required readings and assignments, depending on the course. How will the professors provide support for Candidates? And how/when can they contact them? Each professor will be contactable through our dedicated Learning Management System. Apart from having courses with professors, each of you will have your own mentor, who will be assigned in accordance with your main field of interest. The task of the mentor is to guide you by answering your questions, developing your network, and assist with internship or job placements. How many business events can we participate in? During the Football Business Academy program, you will be invited to a Soccerex event in order to gain knowledge and to network with leaders of the football industry. The tuition fees include the entrance to one Soccerex event and the accommodation during that event. Students who wish to participate in more than one Soccerex event or an ESSMA event will be able to enjoy discounted rates thanks to our special partnerships with both of these organizations. What kind of benefits do the Field Trips bring to Candidates? In which type of organizations and countries will they take place? The FBA Field Trips are designed to add a deeper level of understanding to how some of the most remarkable stadiums and important governing bodies operate. 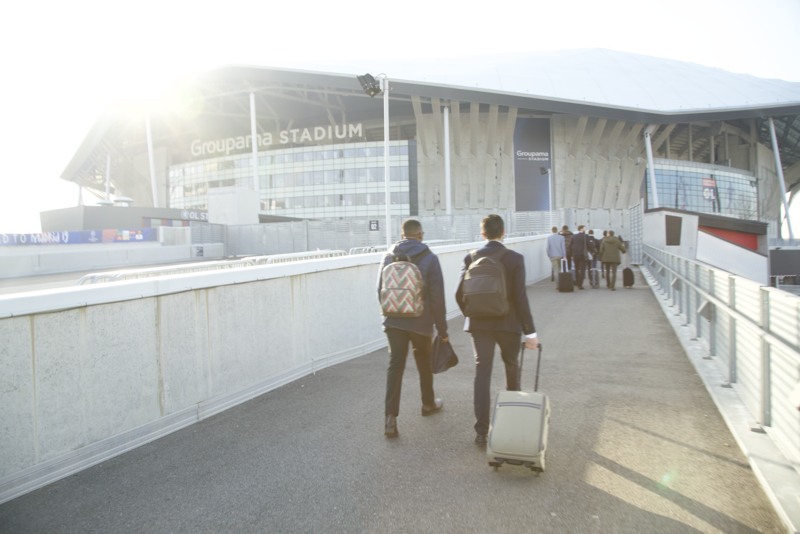 Through them, you will benefit from the expertise of the stadium managers and industry experts who will share unique insights and teach you the opportunities and threats of their specific venue or sector, which will represent an incredible asset and benchmark for your future career in the football industry. Field Trips will take place in Europe’s most renowned footballing countries. I can’t afford the program, do you offer scholarships? We also recommend you try to get in touch with your home country’s sports ministry, football association or similar body and enquire for possible scholarships or grants. We will support you during the process by sending official letters or documents from The FBA as needed. What career opportunities does doing The FBA program offer? The Football Business Academy has been created to help you break into the business or management side of football. One of our main goal is to reach 100% of employment for our graduates. When you graduate from The FBA, your acquired knowledge, experience, and network will give you the possibility to work for football clubs, federations, agencies, or other football related companies. Or create your own business thanks to our Entrepreneurship and Innovation course. For Module 4 in Geneva, will you help us regarding visa and accommodation? The accommodation during module 4 is included in the tuition fees, which means that you will not have to pay for it separately. Should you need a visa for this period, we will assist by sending you a special acceptance letter. Please check with the Swiss embassy/consulate in your country of citizenship for requirements and procedures. Can The FBA help me to become a professional football player? At The Football Business Academy, our sole aim is to give all the needed tools and skills to become a future leader in the business of football. We therefore can’t help you to become a professional football player. You can also watch our webinar where most of our teachers present themselves and answer questions you might have. If you don't receive an email from us, please check your spam folder and add info@the-fba.com to your safe sender list.